Jun 7, 2015 . . . In Tehran and many of Iran’s biggest cities, pollution levels are so critically high that women are suffering from increasing numbers of miscarriages, scientists believe. Four of the 10 most polluted cities in the world are in Iran, reveals a 2014 report by the World Health Organisation (WHO). The paper also shows that countries, such as Qatar, Afghanistan, Pakistan and Bangladesh have dangerously high levels of pollution. Although air pollution is a significant issue around the world, low and middle-income countries, particularly in the Middle East, continue to suffer the most. 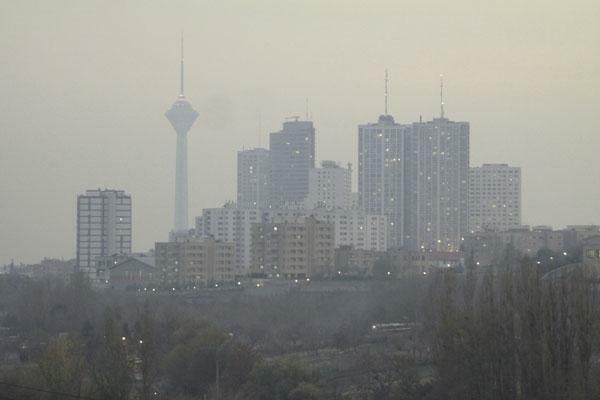 Media outlets regularly report on the air pollution crisis in Tehran and other major Iranian cities. In February 2015, pollution levels were so dire in parts of Iran that 11 cities in the southwest of the country had to be shut down effectively. Then, in December 2014, approximately 400 people were hospitalized because of air pollution in Tehran. The thick haze of dust and low-lying toxins make for dramatic media reports, though in many parts of Iran, the less photogenic realities of daily pollution have become routine. For some cities and towns in Iran, warnings over dangerous levels of pollution come several times a year — a fact that is often underreported. Air pollution’s threat to public health has gained considerable global attention in recent years. Links between pollution and heart disease, lung cancer, asthma, and both chronic and acute respiratory diseases are well known. But less widely reported is the link between air pollution and infertility, its relationship to miscarriages, and its impact on in vitero fertilization (IVF) treatments. “Air pollution in Tehran is getting worse with every day,” said Rahmatollah Hafezi, chief of the Tehran City Council health committee. He also explained that miscarriages occur more frequently when pollution is at peak levels in the capital. Studies also show that pollution has a negative effect on the fertility of both men and women, with a couples’ chance of conceiving a child reduced by as much as 29 percent. At the same time, air pollution is linked to increased rates of miscarriages, with some studies indicating that pollution could be a significant factor in inducing miscarriages. Fertility rates in Iran have steadily fallen in recent years, with official reports suggesting that there are up to three million couples in Iran unable to have children. Although it is clear that there are other factors at play — including age, genetic dispositions, nutrition, and medical conditions — a number of reports have established a clear link between air quality and a fall in fertility rates. “My husband and I have always wanted to have a kid, so we tried many times. I got pregnant after two years of trying but it didn’t last long,” says Nazanin, a 31-year-old woman from Tehran. Miscarriages are draining, both emotionally and physically, and can even cause long-term trauma. A woman can also experience feelings of guilt, shame, anger and desperation when she loses a child. And this is only exacerbated when it happens more than once. When a woman has three or more miscarriages in a row, the condition becomes known as recurrent miscarriage. In nearly half of recurrent miscarriages, doctors do not know the root cause. However, it is widely accepted that factors, such as stress and air pollution, can increase risks and the chance of having a successful pregnancy. According to Daruish Farhoud, a genetics expert in Iran, air pollution, high levels of stress and poor nutrition are some of the biggest causes of a rising number of recurrent miscarriages, as well as increasing infertility among men and women in Iran. “Our recommendation would be to not get pregnant when you’re living somewhere with high levels of pollution,” says Dr Paulo Marcelo Perin, part of a team that carried out a pollution and fertility study based at the University of Sao Paulo. He believes that even low levels of pollution can jeopardize successful pregnancies. Despite the warnings of scientists, the Iranian authorities continue to encourage people to have children. The government wants to boost fertility rates in the country so bans vasectomies and restricts access to contraceptives. But is it Iranian women who are paying the price?